40 Foot Electric Scissor Lift Rental – JLG 4069L , is available for rent in Rochester NY, Ithaca NY and the entire Western New York region from the Duke Company. 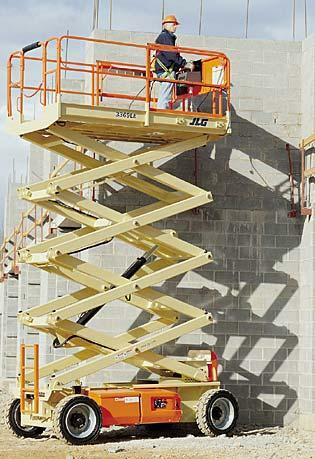 The JLG 4069LE electric scissor lift is capable of performance on or off of the slab. The rugged terrain tires enable maneuverability on a wide range of surfaces.